Flat glass producing plant “Interglass” offers bullet-resistant glass of three protection classes – 28, 34 and 70 mm – produced using the equipment by European manufacturers and applying methods unique in Central Asia and Kazakhstan. 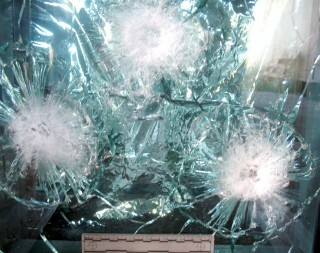 Bullet-resistant glass produced by “Interglass” provides high optical transparency, protection from perforating shooting from different types of weapons. 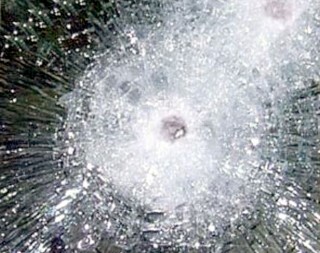 Bullet-resistant glass is produced applying film technology enabling to prevent crumbling of glass fragments when impacted by firearms that means it is shatterproof. All glass is produced in accordance with GOST 30826-2001 TU of the enterprise, was comprehensively tested in certification authorities and has all Certificates of Conformity issued by Republic Construction Certification Authority of Kyrgyz Republic. On the customers’ option we manufacture protective multilayer bullet-resistant glass of different sizes from clear glass with colour or clear film. The flat glass producing plant provides full manufacture and erection service of all types of bullet-resistant glass (thermal bridge, opening and fixed frames with any protective type of glazing, optionally the glass can be supplied as a glazed window).